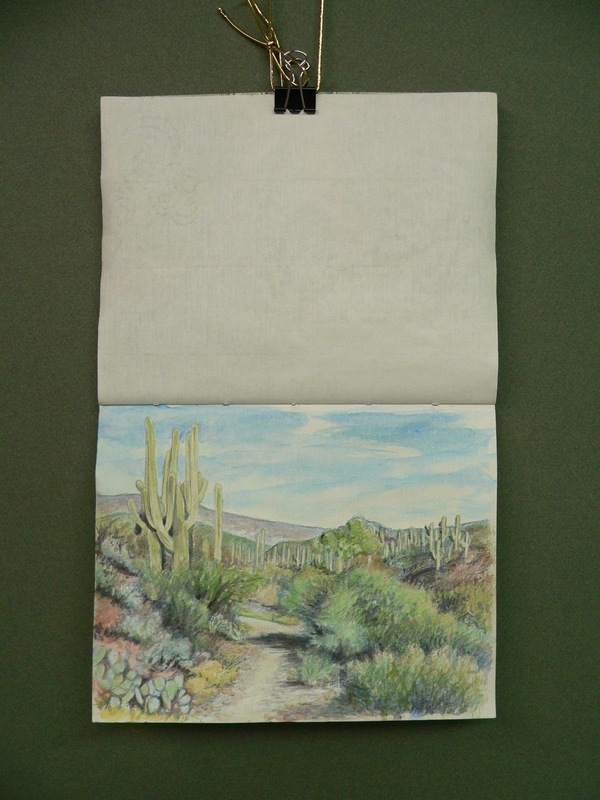 This is the last page the Arizona travel sketchbook. 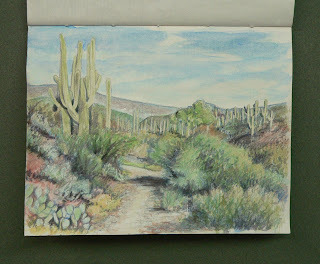 Returning to Cave Creek after a week in Sedona, for a walk up the trails through Spur Cross. If you love to run, as I used to, and would like to support the town of Cave Creek in preserving their open space from urban expansion, you might consider participating in the Cave Creek Trail Run on March 26th.